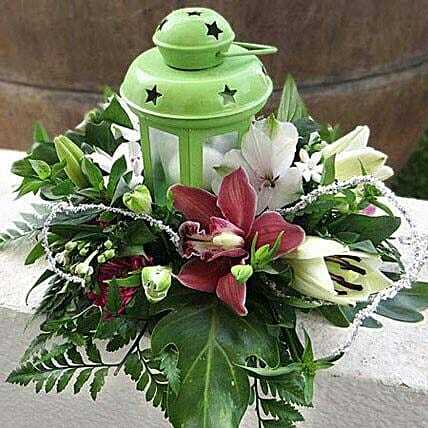 This enchanting green lantern arrangement of beautiful flowers like white Asiatic lily, red cymbidium, dark pink and white lisianthus, and Green palm leaves will leave your loved ones speechless. They would also feel delighted with the unique choice of gift you have selected for them. So, go ahead with this amazing gift.